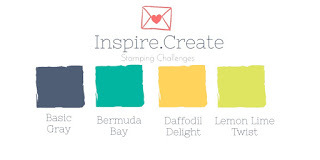 Welcome to another Inspire.Create.Challenge. 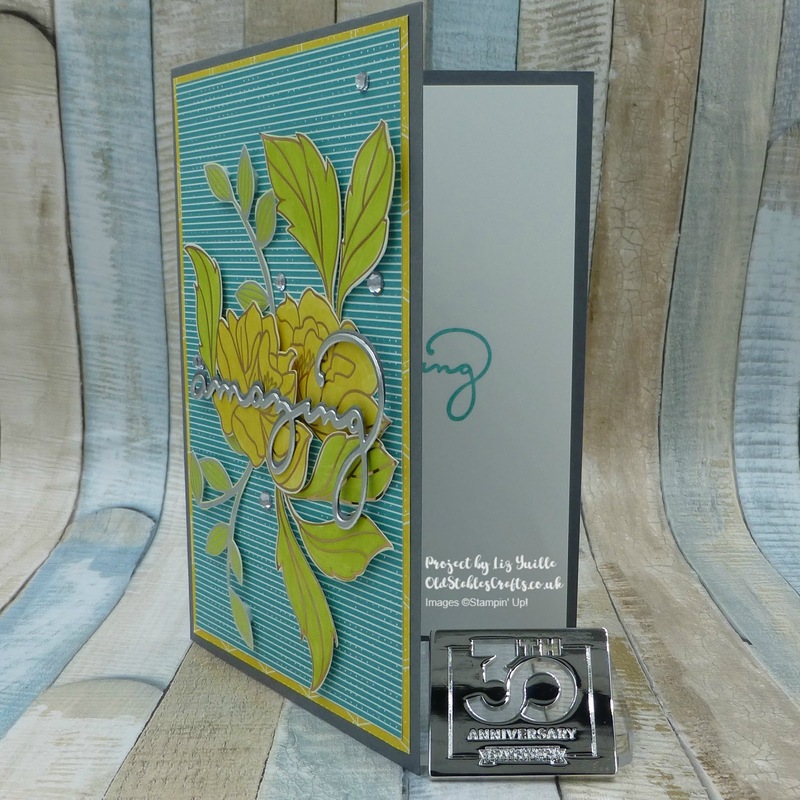 Did you have a look at the winning entry from the last Challenge? Wasn’t it fantastic? This time we have a Colour Challenge for you, inspired by four of the colours in the Sale-a-Bration FREE Designer Series Paper that matched perfectly with the Bubble Over Bundle from the Spring/Summer Catalogue; some of the dies even cut out images on the papers!! But enough about that, I have not used any of the products from the Bundle, although I love them and have featured them on a recent video. 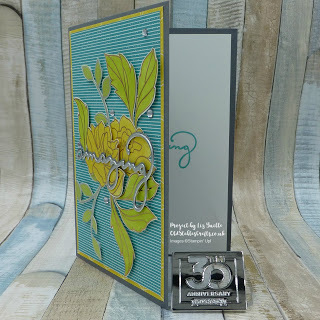 Click on this picture to go to the Inspire.Create.Challenge site and see what the other Design Team Members have made. Don’t you just love these? 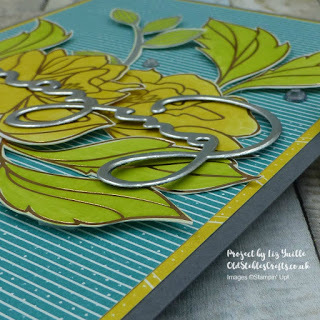 I used Basic Grey for the Cardbase and the shadow on the die cut, Daffodil Delight and Lemon Lime Twist Stampin’ Write Markers to colour the images and Bermuda Bay and Daffodil Delight papers for the background. I added Silver Foil for the top layer of the die cuts, added a few Basic Rhinestones and the front of the card was done. 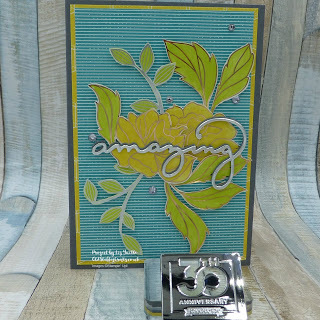 I stamped the inside of the card with a few of the sentiments from the stamp set and I was done. To see exactly how I put it all together, watch the video.